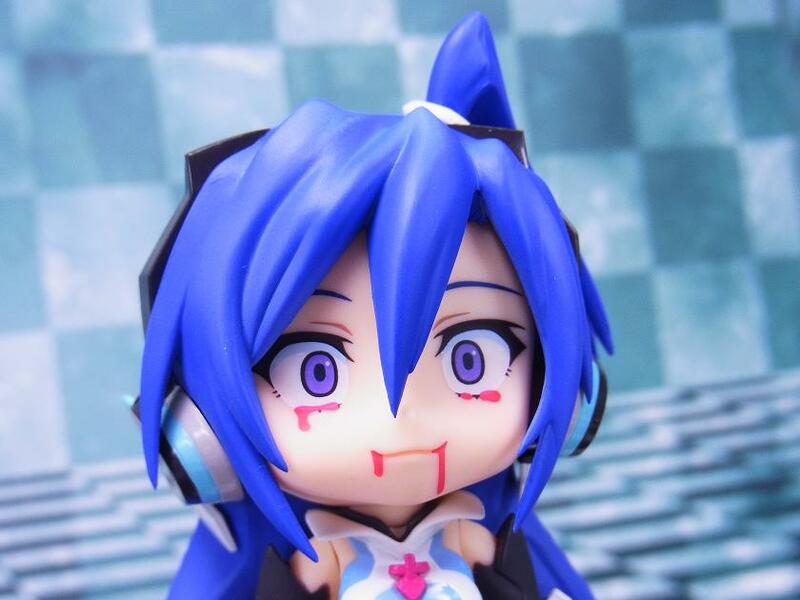 Nendoroid Tsubasa Kazanari is packed-full with blades, protective gears and a face with blood dripping all over it. Wait, what? 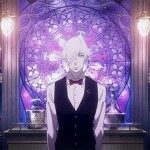 I’ve got a confession to make. This is another one of those “don’t know ’em but gotta own ’em” figures. 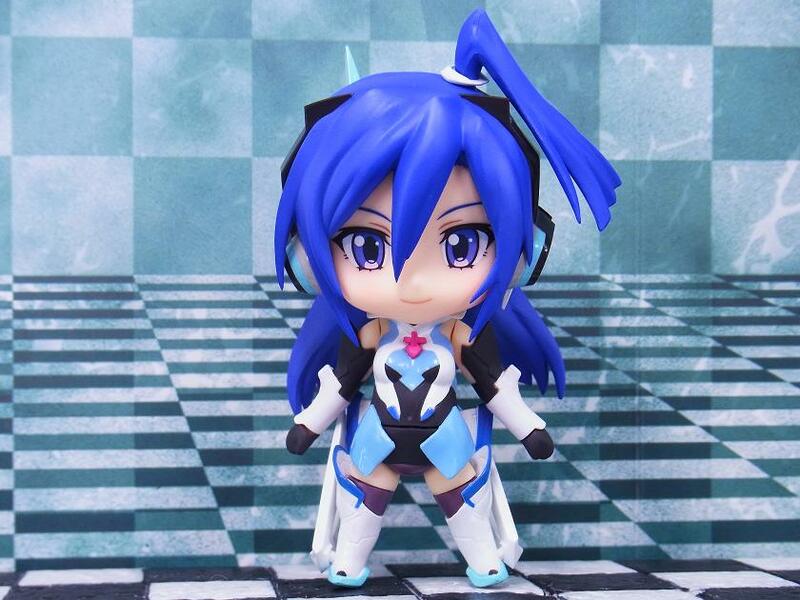 I haven’t had the opportunity to watch Senki Zesshou Symphogear yet, but Tsubasa Kazanari has a unique faceplate that’s well worth the price of admission (I’ll explain why shortly). 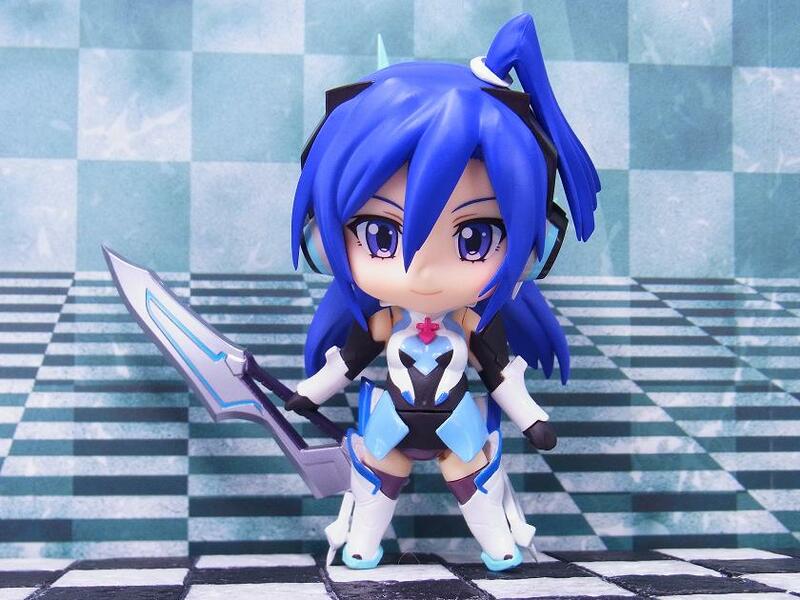 Tsubasa is one of the main characters in Senki Zesshou Symphogear, a kind of magical girl if you will. 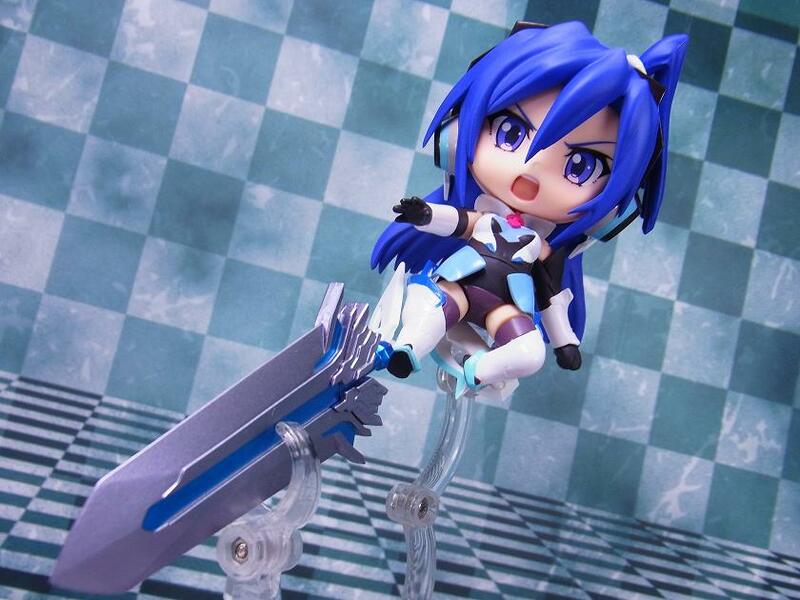 And she fights aliens with blades…many blades. 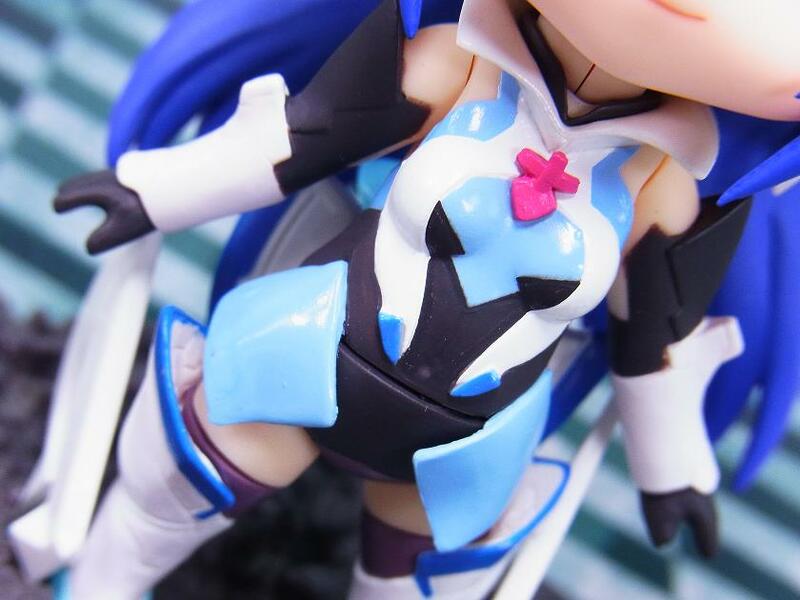 Tsubasa has an interesting outfit, but I found the quality of the painting to be lacking and the split in her neck isn’t what I would consider beautiful. The leg blades have ball joints so you can lower or lift them quite freely. 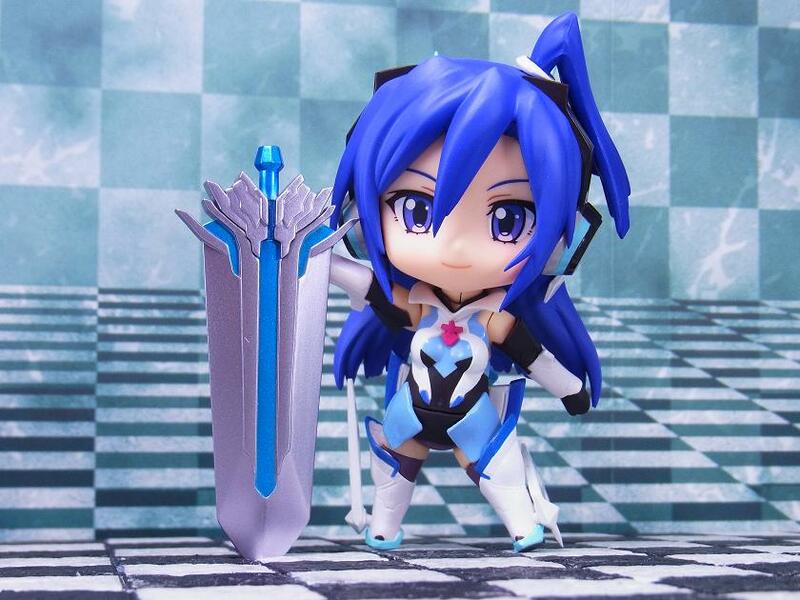 She comes with three swords: a standard sword, large sword and giant sword. She also has three faceplates: smiling, angry and Swansong. 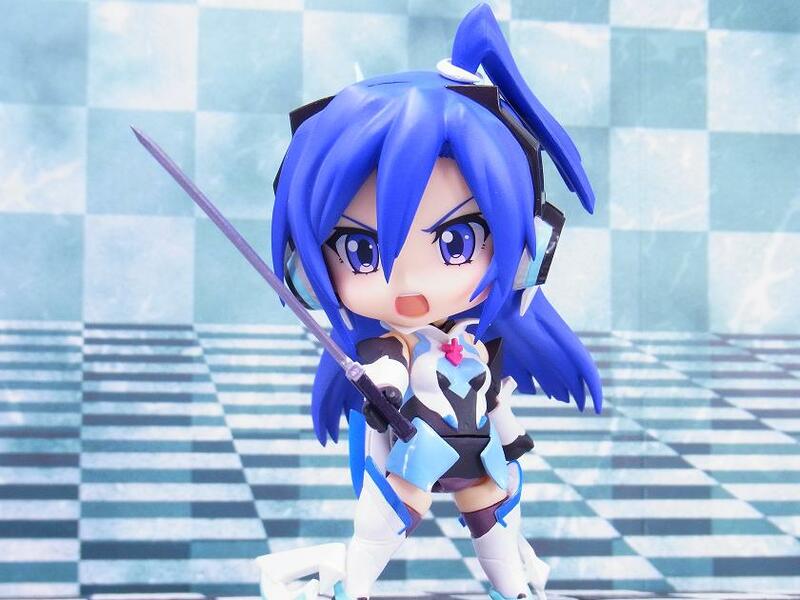 Her short sword is kind of ugly, isn’t it? Definitely not something I’d like her to equip on a regular basis. Fortunately it gets better from here. Now that’s better! 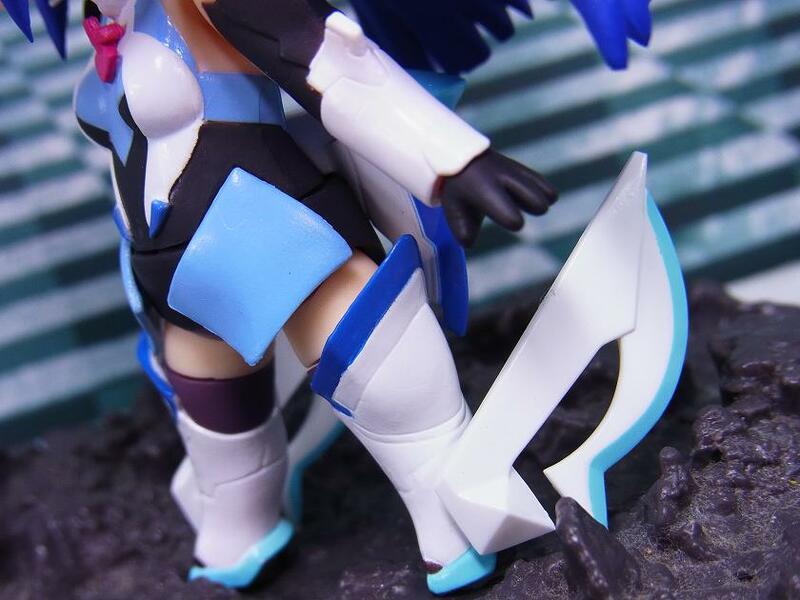 The giant sword’s hilt doesn’t have a peg so you’ll need to carefully position Tsubasa midair next to the sword in order to accomplish her kicking finisher (sorry people. I don’t know how this finishing move is called, but it was pictured on the box and is kinda cool so I’m including it anyway ) . 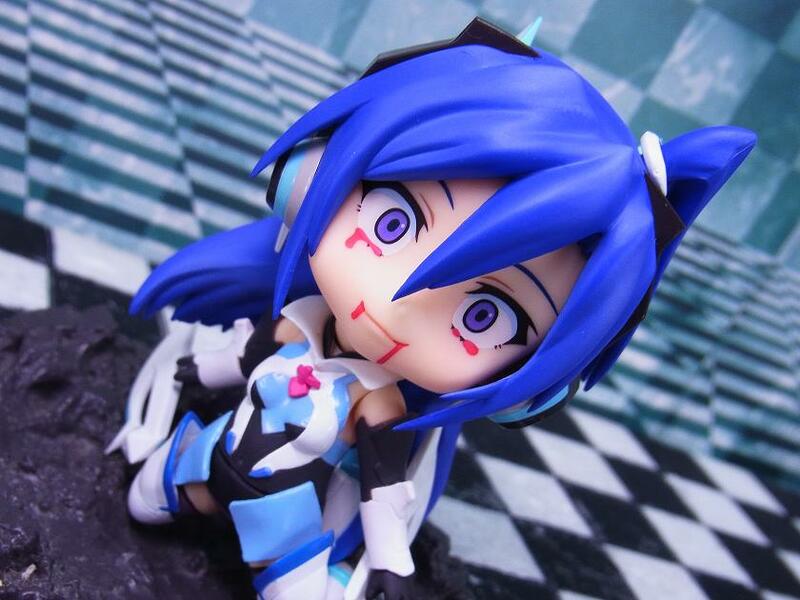 And this is the result of Tsubasa using her Swansong – tears of blood! And is it just me or is she smiling?! That sick…in a good way. 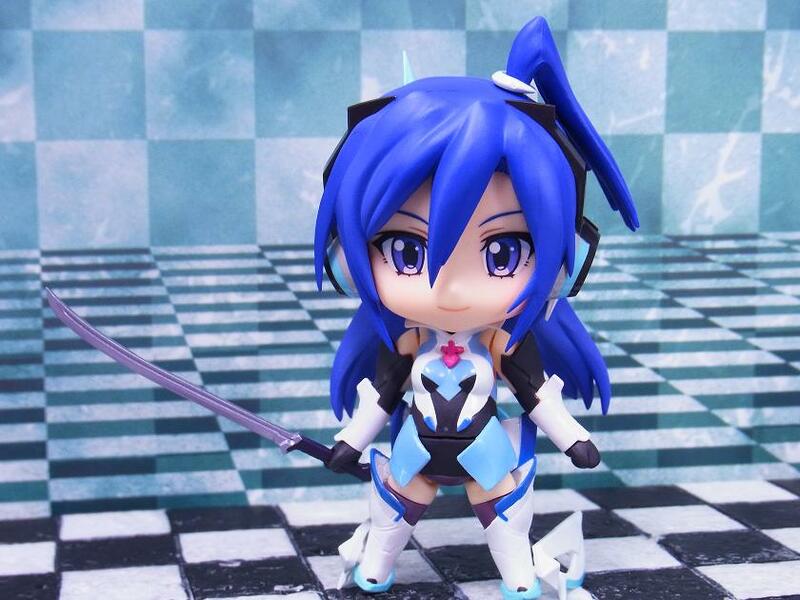 This faceplate is what makes the Tsubasa Kazanari Nendoroid so desirable. I mean, it’s a bleeding face. Think of the possibilities…. 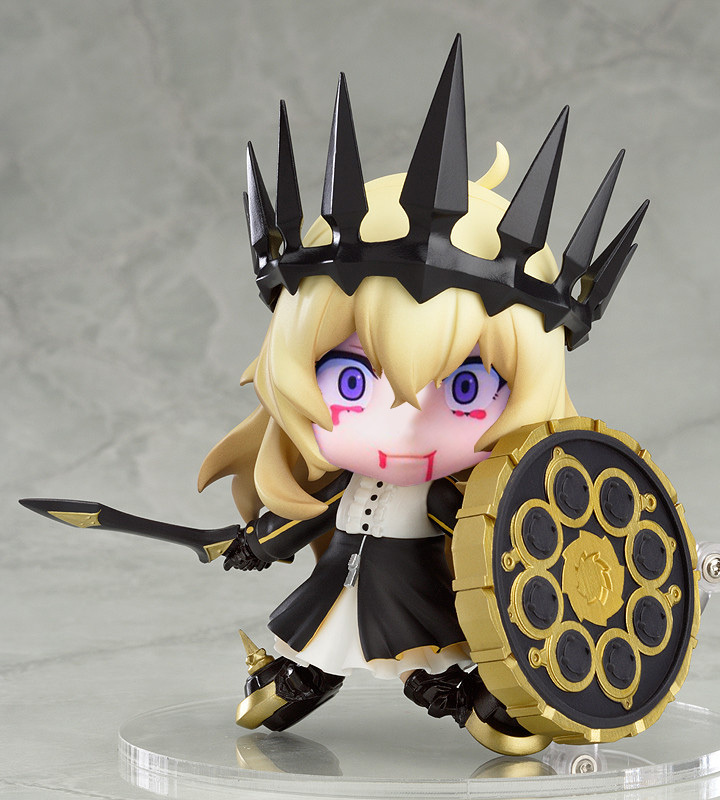 Nendoroid Chariot is bloody awesome. Ok, so that’s just a mockup I made to stir you up (Chariot won’t be coming out until June). But it did prove the point didn’t it. Speaking about points, remind me again why this figure came alongside a small chunk of purple plastic? 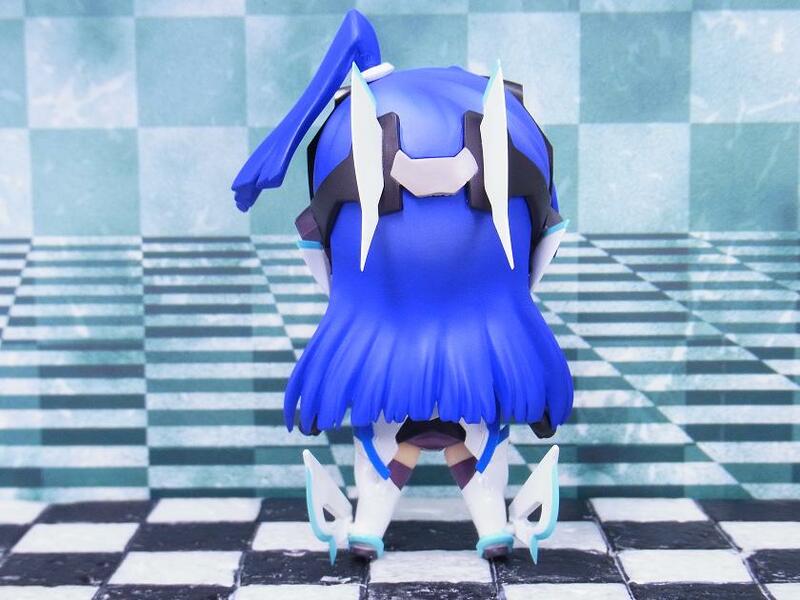 You can find Nendoroid Tsubasa Kazanari on both AmiAmi and E2046. 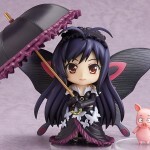 Nendoroid Kuroyukihime – Her Umberlla Alone Is Worth It!